Just putting pics up of my Easter manicure with China Glaze's Prismatic Chroma Glitters. Formal post to follow. But Happy Easter (for those who celebrate)! INFO EDIT: I used all colors from the China Glaze Prismatic Collection line: Prism, Liquid Crystal, Ray-Diant, Optical Illusion, Full Spectrum and Polarized. For added opacity, I painted two coats of China Glaze Icicle with two coats Polarized atop and I painted two coats of China Glaze Digital Dawn before adding two coats Full Spectrum. 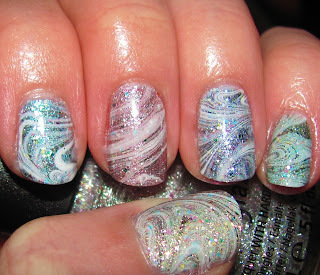 The marble was done with China Glaze White On White and a clear polish. Seche Vite was the top coat. MY GOSH!!! This is AMAZING!!! EXCELLENT job! Oh goodness! Could this be any prettier??!! Hope you and your family had a STELLAR Easter! 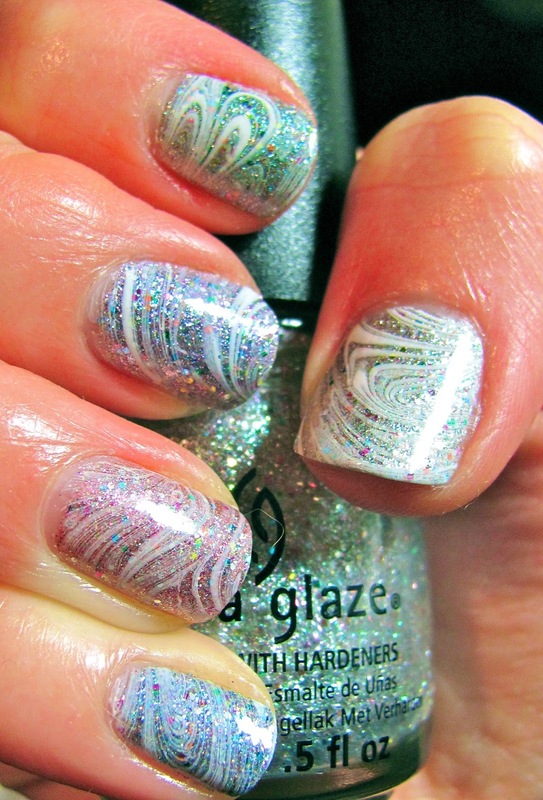 Not a huge fan of the Prismatic Chroma Glitters but this looks AMAZING!